Today, Karabo was reunited with her mother and grandmother after a 3 month stay in the safehome. 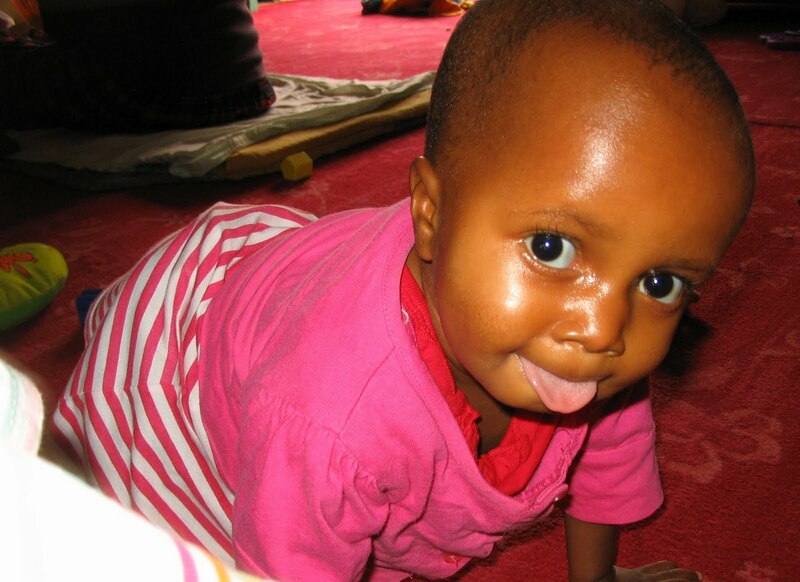 Referred to TTL by a rural health clinic, at 1 and ½ she weighed only 8 kg and was unable to stand without support. In her letter to TTL, the nurse reported that “the child was weaned too early having been advised to do so by a traditional doctor. Now the child is malnourished since the mother cannot sustain supplementary feeds.” During her time in the safehome, Karabo has made great progress with gaining weight (now at a healthy 9.15 kg), starting to say words and taking her first hesitant steps by herself. No doubt she will be running around all by herself soon enough and we're happy that she was healthy enough to return to her family in time for Christmas. Last week, Khathatso arrived at the safehome after being referred through our Village Health Worker Network. He had recently been admitted to hospital for kwashiorkor, a form of acute malnutrition due to a lack of protein. 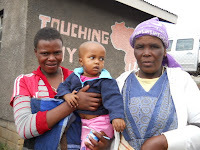 Khathatso's mother passed away over a year ago due to TB and his aunt had taken on the role as caregiver. 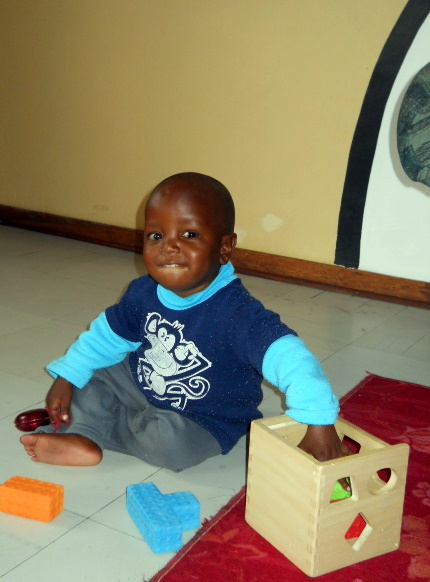 With 4 other children in the house under the age of 5 and no stable source of income, TTL was concerned that Khathatso's aunt might be stretched too thin to provide him with all the support he needs to recover and get his development back on track. At almost three years old, Khathatso has adapted to the safehome the fastest out of any of the children I have seen here so far. Most children, particularly the older ones, take a few days to adjust to the safehome sticking close to the Bo’me and avoiding the other kids. Khathatso on the other hand was laughing and playing by the end of day 1.